The Mansion glows at night. When it comes to your special day, you want everything to be perfect. When it comes to your special day, you want everything to be beautiful. When it comes to your most special of days: whether it’s a wedding, civic event or corporate meeting, you want it at Allandale Mansion. 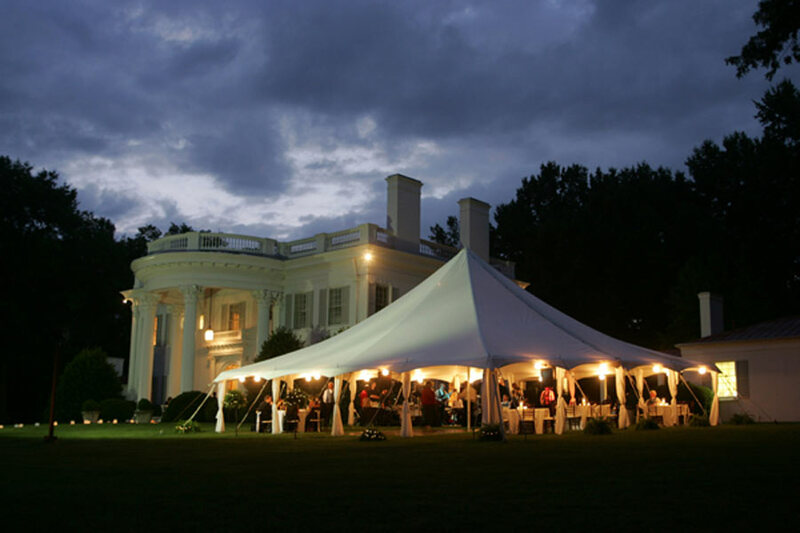 The “White House” of Kingsport, Allandale has hosted thousands of events over the past two decades, including weddings, art shows, school dances, corporate meetings, Fun Fest events and more. Our staff is here to help you plan your event! Enjoy a stroll on the verdant Grand Lawn. View the gorgeous Georgian-style architecture of the Mansion, where 95 percent of the furnishings are original. Sit under the shade of a sturdy oak and fish in one of our ponds. And if the weather takes a sudden turn, take refuge in one of our rustic barns. Allandale is a bouquet of sensory experiences. Let us make your dream event a reality. Give us a call today and find out just how affordable we are! As you walk through the doors of this elegant Georgian mansion, you’ll experience the echoes of Kingsport’s past and imagine it’s surroundings as the perfect compliment for your next party, dinner or wedding. Inside and out, Allandale Mansion is a treasure of lovely and historic surroundings. Let us help you coordinate your event. We provide listings of caterers, florists, bartenders, musicians and entertainers. Celebrate your special events with us.